Michael Greenwald is a founding partner of Greenwald Davidson Radbil PLLC. Donnelly v. EquitytExperts.org, LLC (E.D. Mich.) (class action settlement under the Fair Debt Collection Practices Act resulting in payments of up to $3,200 to class members). Gonzalez v. Dynamic Recovery Solutions, LLC (S.D. Fla.) (class action settlement under the FDCPA, including nationwide injunction prohibiting violative debt collection practices). In addition, Mr. Greenwald served on the litigation teams prosecuting City of Ann Arbor Employees' Retirement System v. Sonoco Products Co., et al., in the District of South Carolina ($13 million) and In re Evergreen Ultra Short Opportunities Fund Sec. Litig., in the District of Massachusetts ($25 million). Prior to forming the firm, Mr. Greenwald spent six years as a litigator at Robbins Geller Rudman & Dowd LLP, the nation's largest plaintiffs' class action firm. There, Mr. Greenwald focused his practice on complex class actions, including securities, corporate governance, and consumer fraud litigation. While at Robbins Geller, Mr. Greenwald served as counsel in the successful prosecution of numerous class actions, including: In re Red Hat, Inc. Securities Litigation (E.D.N.C.) ($20 million), Norfolk County Retirement System, et. al. v. Ustian (N.D. Ill.) ($13 million), Romero v. U.S. Unwired, Inc. (E.D. La.) ($9.7 million), Lefkoe v. Jos. A. Bank Clothiers, Inc. (D. Md.) ($4 million), In Re: NationsRent Rental Fee Litigation (S.D. Fla.), and In re Odimo, Inc. Securities Litigation ($1.25 million). 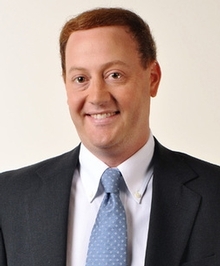 Mr. Greenwald began his legal career as an attorney at Holland & Knight LLP. Mr. Greenwald earned his Bachelor of Arts degree in Psychology from the University of Virginia in January 2001. While at the University of Virginia, Mr. Greenwald served as editor-in-chief of The Cavalier Daily, the school's student-run newspaper. During his tenure as editor-in-chief, The Cavalier Daily was honored with the Associated Collegiate Press' 1999 Pacemaker Award as one of the best collegiate dailies in the country. Also while at the University of Virginia, Mr. Greenwald served as an undergraduate fellow at the University's Center for Politics. In 2004, Mr. Greenwald earned his Juris Doctor degree from Duke University School of Law, where he was awarded the Justin Miller Award for Leadership. At Duke, Mr. Greenwald was the co-founder and editor-in-chief of The Devil's Advocate, the School of Law's independent newspaper. Before attending Duke, Mr. Greenwald wrote for The Miami Herald, where he authored over 80 news articles. Mr. Greenwald can be reached by email at mgreenwald@gdrlawfirm.com.